Here is my little collection of finnish liberty crosses (Vapaudenristi). I still miss VR1 with swords, VR2 without swords, VR3 with red cross and VM1 with red cross. Still miss both VR1 with and without swords, VR2 without swords. 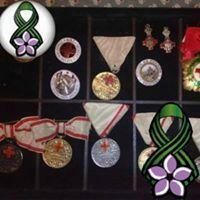 The VM1 medal with red cross is awarded in 34 pieces! I still need both VR1 with and without swords. As you can see I have the crosses with both homefront ribbon and war-ribbons. Crosses without year on reverse. 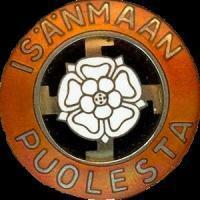 Awarded after WW2. There are alot of these I miss in my Collection. And variants of the medals. The breast star is awarded in only 7 pieces! The VM2 with red cross 1918 is awarded in 623 pieces but really hard to find. Bad pics but if you want I can take better ones tomorrow. VM1 1939 with red cross is awarded in 34 pieces. The 1 class breast star is only awarded 7 times after ww2. Extremely rare and as far as I know. Not a single piece have been for public sale ever. VM 1 without year is awarded in 579 examples. This particular medal was awarded for service in Afghanistan. Here is a very early and rare 1941 VR3 with oakleaves and swords. Made in 1939 style with raised numbers. For example the rare 1918 3rd class Liberty Cross 1918 with Red Cross , awarded 22 !! Yes. The finnish medals are really cheap compared to german awards. But on the other hand alot more difficult to find since the few numbers awarded. I have been offered to buy a 1918 grandcross with breaststar with swords. But it was really expensive. You could buy several knights crosses for the same money. The VR3 red cross you are talking about, is it the one that got sold at Künker in Germany? If it is that one, I was one of the bidders. I had just started to collect finnish medals at that time and wasn´t sure about the prices. Do you have the name of the person who received them? That red cross medal is awarded in 861 pieces, but I don´t know how many with red/white compared to yellow/red ribbon. What a beautiful and focused collection. I love the mounted bar. Is that a VM2 1939 miniature? They are kind of rare. The liberty medals with red cross 1939 was only awarded VM1 in 34 pieces and VM2 in 241 pieces. But for some reason the VM1 miniature seem to be alot more common than VM2. I might have an extra VM2 1941 with document if you are interested? PM if you are. Without swords is non-combatant (Merit) or civilian? Liberty crosses without swords and with blue enamel is civilian crosses. 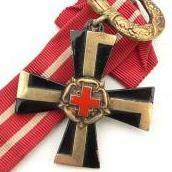 Crosses with red cross is always awarded without swords. There are two exceptions that I know of. One VR2 1939 and one VR3 or VR4 (I don’t remember) without year that was awarded recently by mistake. It was supposed to be without swords but they didnt correct it for some reason. Beautiful collection Johan, it is nice to see so many Liberty Crosses on display! I am curious as to who manufactured your Grand Cross. Thanks! I have only collected the last there years or so. But I am fortunate enough to have good connections. I have no Idea who manufactured the grand crosses. If its german made or by A Tillander. The earliest Liberty crosses are made in german i think. The grand cross is not in my collection. They are way to expensive for me. I only have the medalj in the pictures. And some duplicates for trade/sale. Here is a really rare widow-cross from 1939 but made as a 1941 cross with engraved year. I have never before seen this variation. Here is my latest purchase! A medalbar awarded to a Swedish doctor. VR3 1941 with red cross, TsMM in iron for foreigners and contiunation war medal.